When New Yorkers turned L.A.-ers Tom Van Buskirk and George Langford formed Javelin in 2009, they were as much a performance-art act as they were a band. Armed with an impressive array of pedals, boom boxes, and sampling gear, the pair created dizzying experimental sound collages that were interesting enough to listen to but downright magical to catch live. But for Hi Beams, the band’s third release for David Byrne’s Luaka Bop label, Buskirk and Langford have grown their collage project into bona fide easy listening. But that’s not to say that Javelin has lost its quirky appeal. On Hi Beams, syncopated samples and twisted vocal effects elevate tracks like “Friending” to a place of joyous unpredictability. Meanwhile, cuts like “L’Ocean” expand on the band’s fondness for speeding their drum machines up until the beats implode. 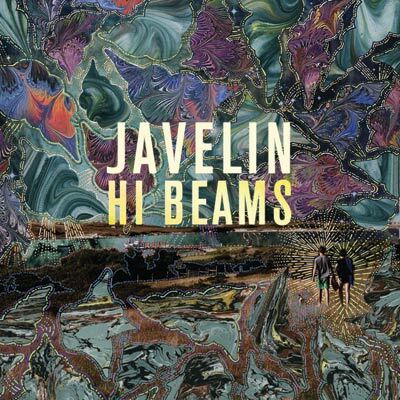 It’s a nice psychedelic touch but just one of the many modes in which this new, danceable Javelin excels.